I know there is a lot of heat in the "children-getting-allowance" topic. I get it. The child exists in your home (for free, essentially, to them), so why should they get an allowance?? Why should they receive a "handout"? What benefits can there really be? I've thought long and hard about this, and weighed the pros and cons. I, personally, believed it could be highly beneficial if my child to received an allowance. I mean, I receive a weekly allotment that I am able to do with it, I please. I make a contribution to our household in other ways, and I have that money to spend. I wanted my daughter to have that same choice. I wanted our child to have that same kind of choice. She pulls her weight in our household. She cares for the cats, cleans up messes (that aren't even hers), does absolutely everything I ask and then some.. So, why not? Why shouldn't she have a bit of the family funds for herself? The biggest question for me was... How much? That amount, over a month, would be $32.40. With $32 and some change, she can get a new bear, or clothing, or some accessories. That is something she would save for and is worthwhile. It seemed like the perfect allowance that can increase with her age, while still staying fairly modest. Now, here's the fun part of it all. 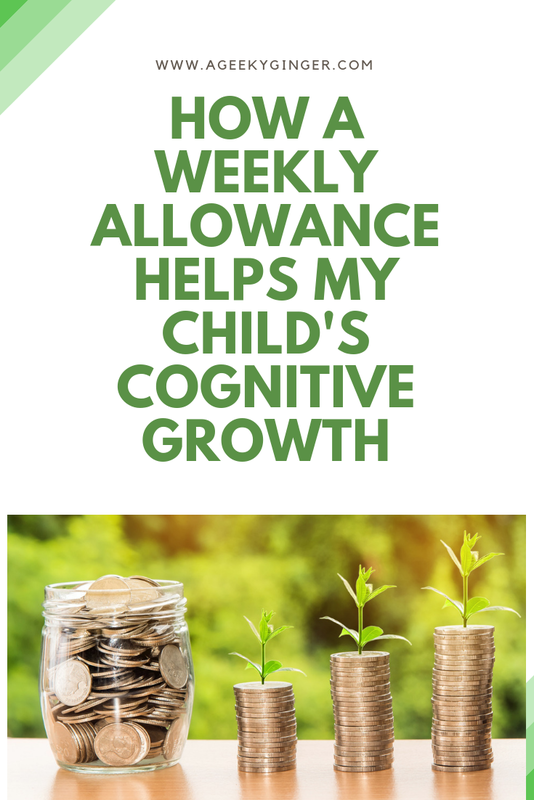 How having this allowance is helping her cognitive growth. So, my thought with giving her allowance, was that I wasn't just going to give her exact change every week. I was going to maybe give her $8.50, and require she give me the change. Or $10, or maybe break a $20, or $6 in bills and the rest in coins. Either way, I wanted her to learn how to count and give back change, on a moment's notice. I know this was something difficult for me when I got my first job (and I was good at math), so I really wanted it to be a skill she mastered. Tell ya what.... Her occupational therapist was quite impressed by my system and had no issues with my daughter counting money. Counting money helps her to be astute in her thinking. Being given this allowance, my daughter has to plan. She has to hone in on her cognitive skills, and make an assessment on what she desires to happen, then execute that plan successfully. Along with that, there is a need to stay focused on that item she desires to purchase, rather than spending her money on impulse. That sort of focus and self-control is hard for many adults, much less a child. 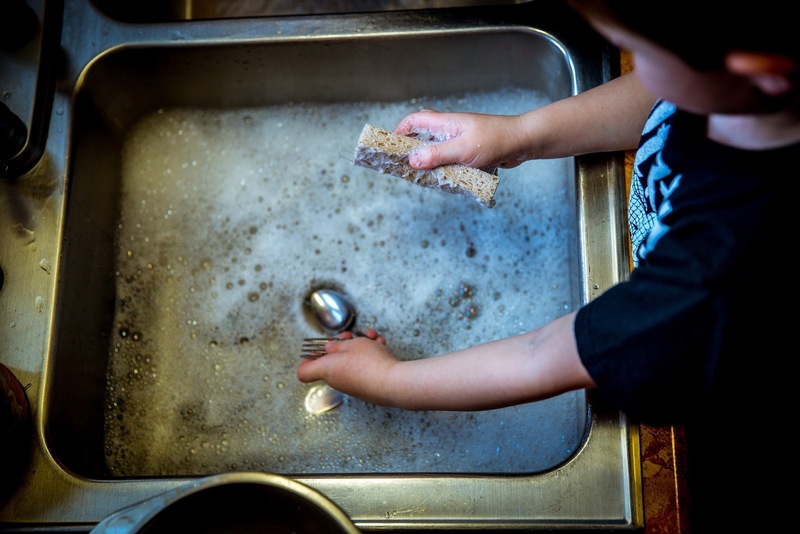 As I just touched base on, the responsibility of being given this control over her decisions and her own money, does require a lot of self-control. It's difficult to see something new you want, and be able to reason that impulse away, so you can keep focused on the big picture. She has been pretty fantastic at doing this, I must say. I used to squander my money on pizza (I mean, I still do this) lol. Not just that, but there is a lot of responsibility here. She knows that if she neglects her duties (chores, school work, caring for the pets), there will be consequences. She has a certain amount she is required to pay back to us (or have deducted), in the event she refuses to do one of her "jobs". I know a lot of people think giving an allowance to a child is silly or unnecessary or spoils them. For our family, though, it's just not the case. This has significantly increased her understanding of so many necessary life skills. I'm quite proud of her and all her cognitive and personal growth. 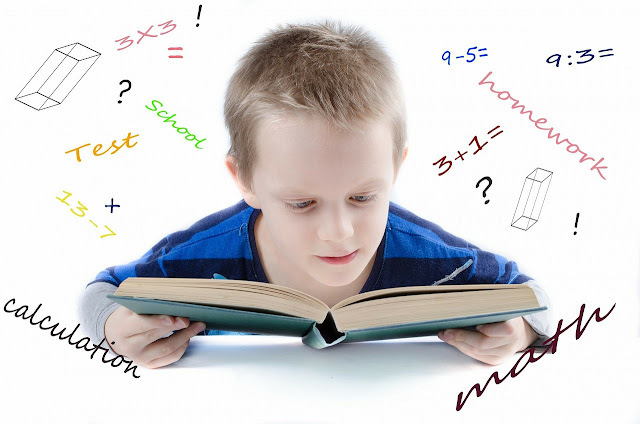 What are your thoughts about children receiving allowance? Share in the comments! We also decided to give our children allowance when they were younger, and I thought it was a great choice. It taught them how to save money, how to budget to get the things they really wanted, and how to decide what they could live without. I remember a few times my younger daughter would ask me for a pretty shirt, or a beanie. I would ask if she still wanted it if she had to pay with her own money. Most of the time she decided no, but there were the occasions where she would go away, save up, and eventually buy it herself. You could see that she valued it so much more. I love how you didn’t give her exact change every time. I never would have thought of that! This is indeed a good way to teach finance and saving right from a younger age. This is not taught in schools either so as parents we do have a role to play. My daughter loves doing her chores to earn her money, she sees how hard I work as a single mom and she feels good earning her own, I think its a great way to raise kids!